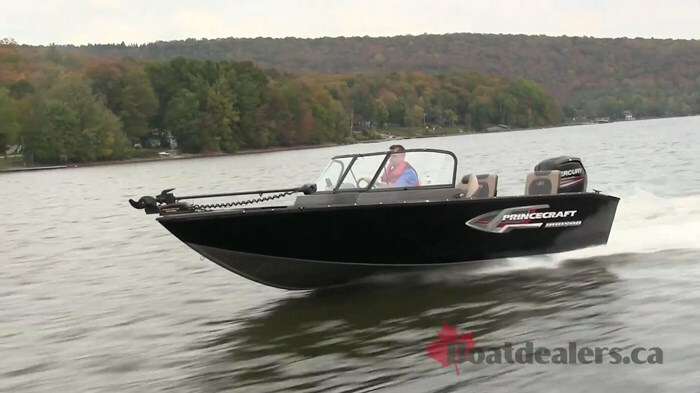 The Hudson DL WS is a new model for 2018 in Princecraft’s Hudson Series. 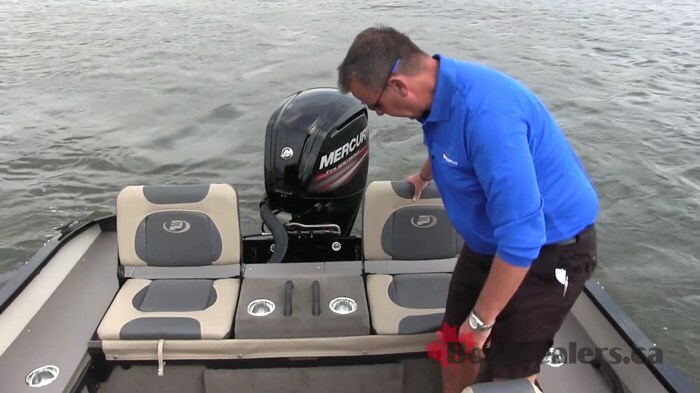 The goal of this boat was to provide many of the features and benefits of one of their other models in a slightly bared down and more value propositioned package. From the bottom up the hull incorporates many of the same characteristics as her larger siblings which made for a great ride. 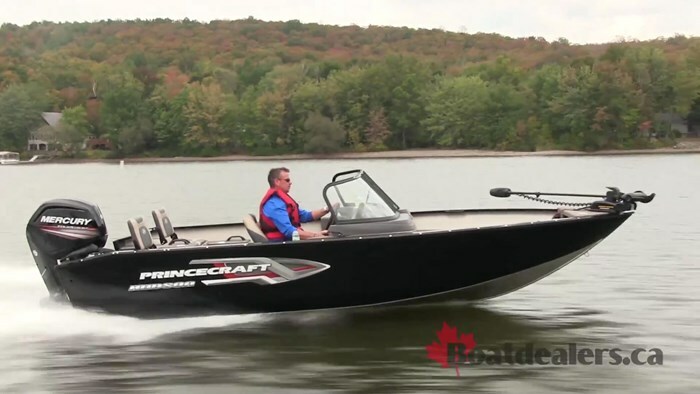 Princecraft uses a 5052 – H36 marine grade aluminum alloy in their hull which is up to 25% stronger than some of their competitors. 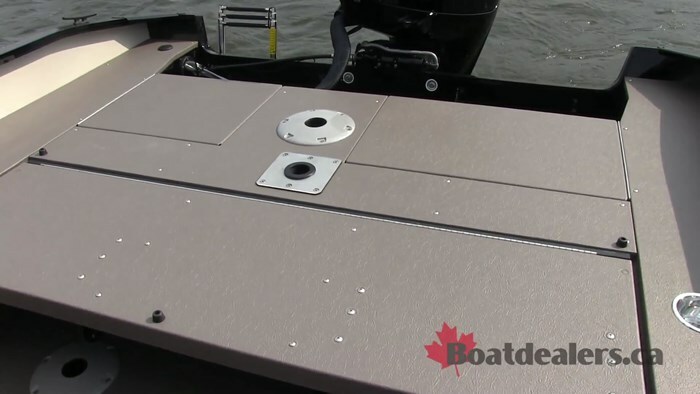 The Hudson DL is constructed with a reverse chine hull design which made for a very stable ride and will benefit family and fishing moments when multiple guests move to one side of the boat – like when landing a fish for instance. There’s a very well thought out commitment to fishing in the Hudson with an in floor lockable rod organizer for 7 rods and another pair of rod holders on the passenger side. 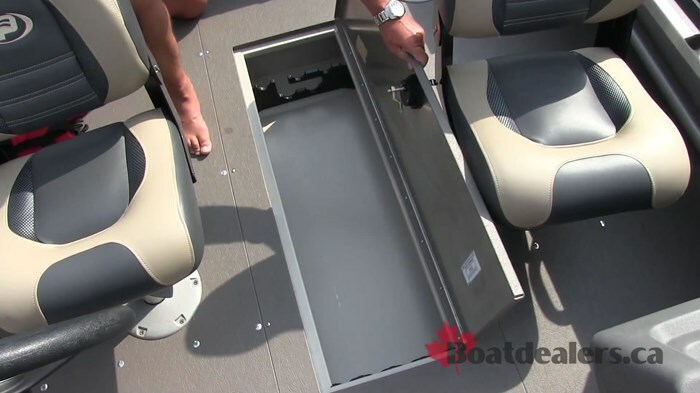 We also found a 20 gallon livewell up on the bow – Princecraft builds their livewells with an overflow protection system and incorporates an anti-spill design into the cover. 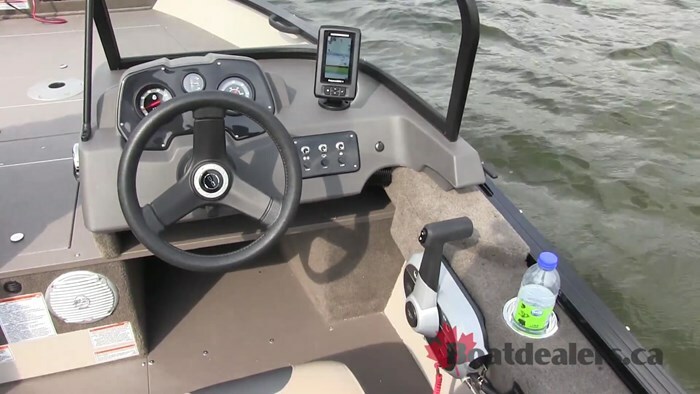 The PrinceTrak accessory system is mounted inside the gunnel on bow and starboard allowing you to personalize the boat with your own accessories. 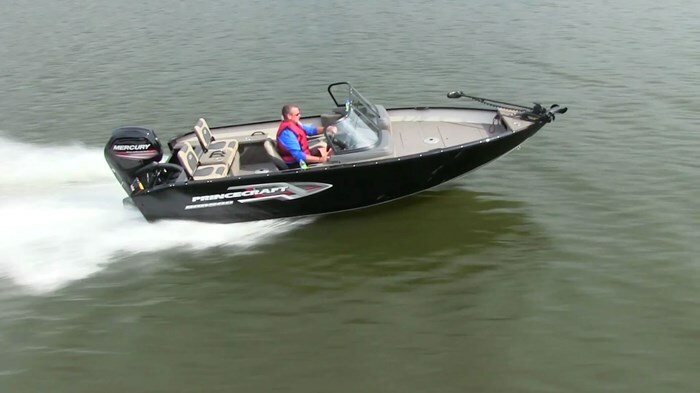 We found our way to a top speed of 38.4 MPH at 5,700 RPM while using about half of the engines trim system. There were also two comfortable cruising speeds at 26 & 21 MPH. Once this hull is loaded with family and fishing gear any operator should readily be able to find their own comfort zones. 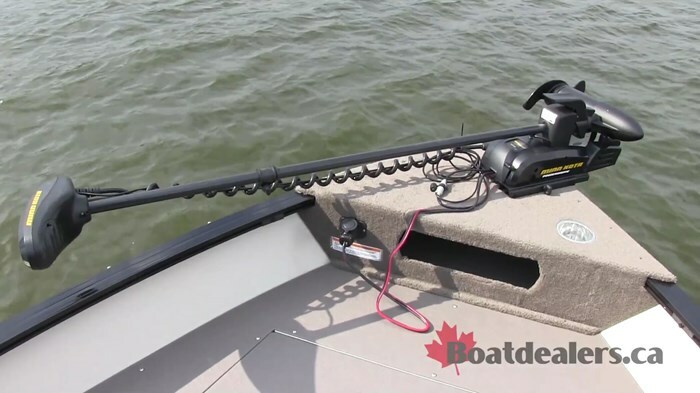 Our test boat was dressed up with a few features that quickly turned this capable fishing machine into an all-round family boat with lots of versatility. Families will appreciate the bow filler cushions which give the kids a nice comfortable play area, the removable ski pylon allows our time in the morning fishing turn into an afternoon on the water listening to the kids laughing and we can all appreciate the telescopic stern re-boarding ladder when it’s time for a dip and time to re-board. 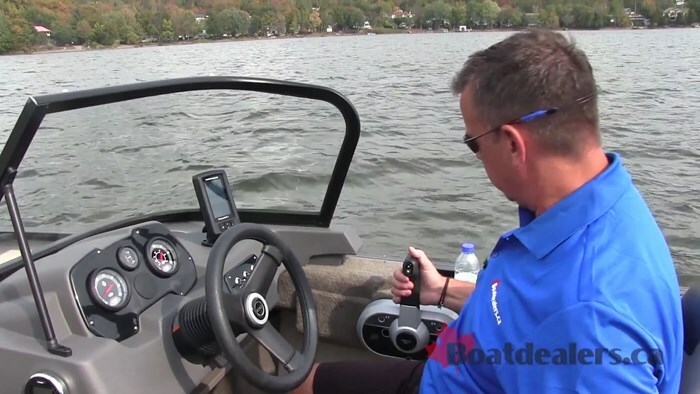 The 160 watt Jensen stereo with Bluetooth rounded out the family aspect to take our morning fish into an afternoon of play and an evening cruise with friends. 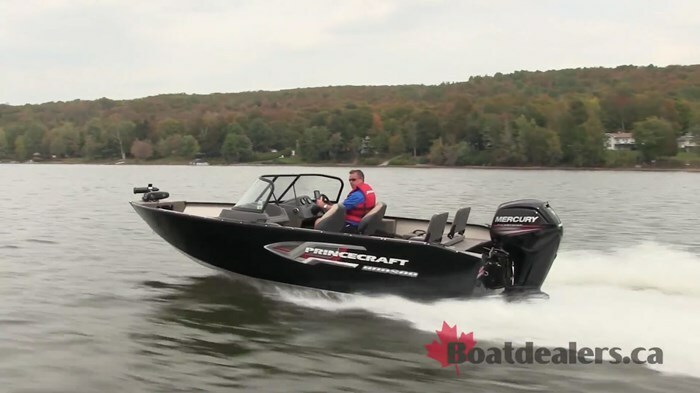 Princecraft has done an excellent job of removing a couple of features from a more expensive model while still giving consumers the ability to own a 19’ fishing machine that efficiently becomes an all-round family fun boat. With the standard trailer and superior canvas package this would be an excellent package capable of travelling to a wide variety of waters in any market.